At JG Marquees our mission is to exceed your expectations, we appreciate most customers will want a ‘straight forward marquee ‘ we are aiming to supply more unusual equipment, high peaked roofs, shaped ends and clear roofs for customers who want something a bit different. 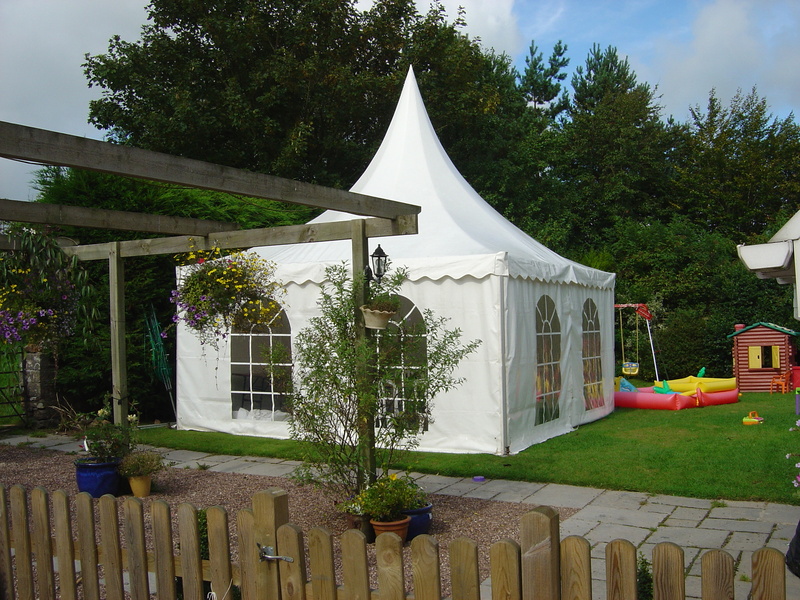 Generally our equipment comes in 3m (10ft) sections long and various width starting at 3m, 6m, 9m up to 12 m.
6 m wide generally on tight garden locations, smaller parties, joining houses for extra space. 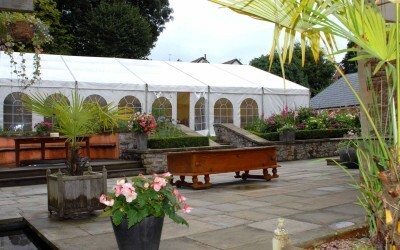 Catering areas. 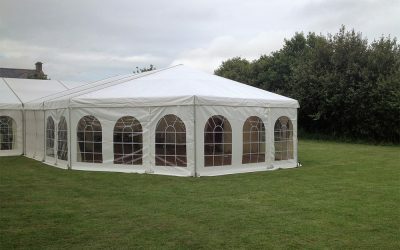 9 m wide, the most popular and useful size. 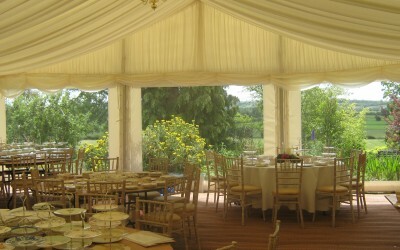 Seated events 70 -150 people, most weddings and parties. 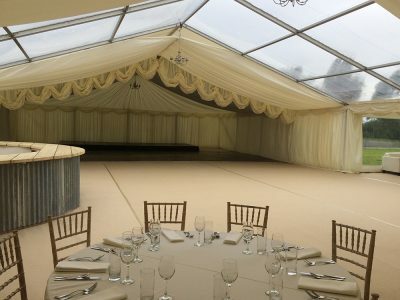 Example 9 m x 21 m wedding marquee for 120 guests. 12 m wide, larger weddings, parties where more room is required, prize giving’s, graduations. 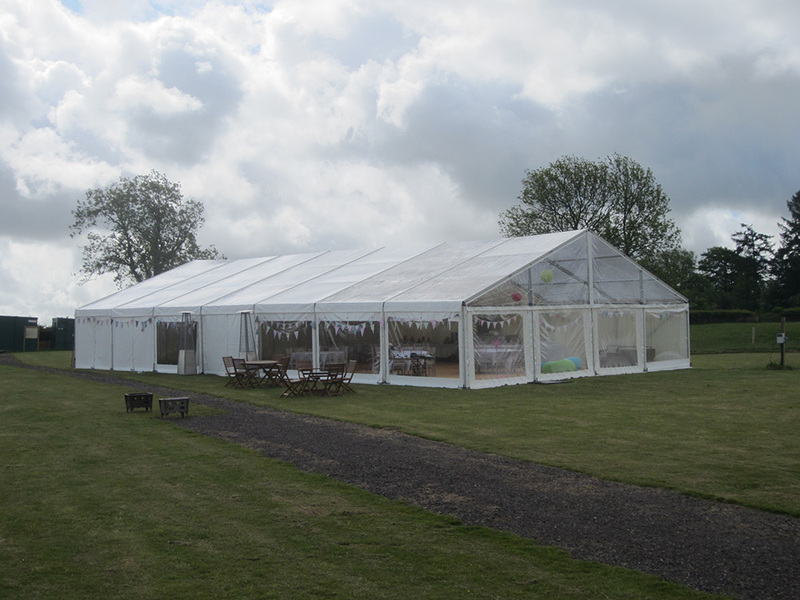 Example 12m x 24m marquee for a 200 seated wedding. 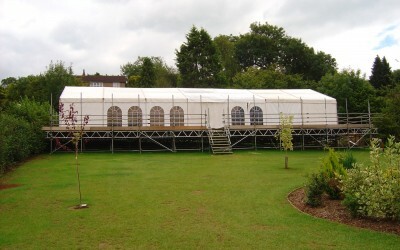 We can create ‘T’ and ‘L’ shapes using our guttering system and join buildings. 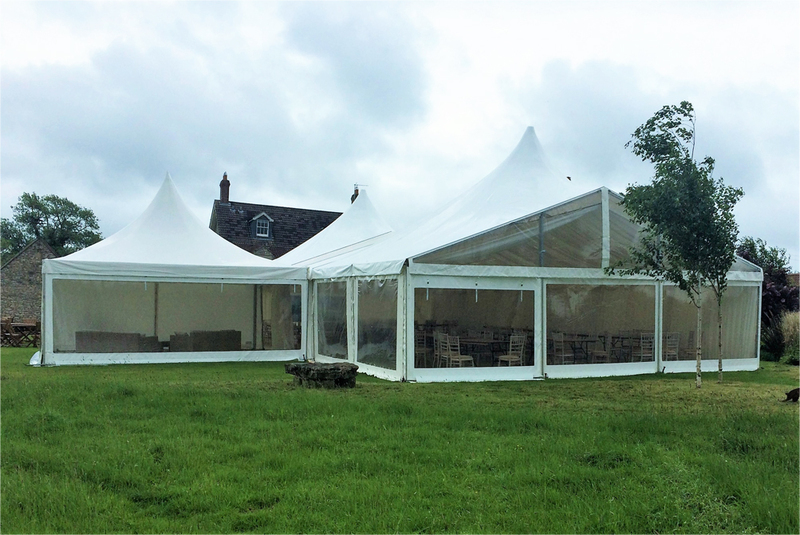 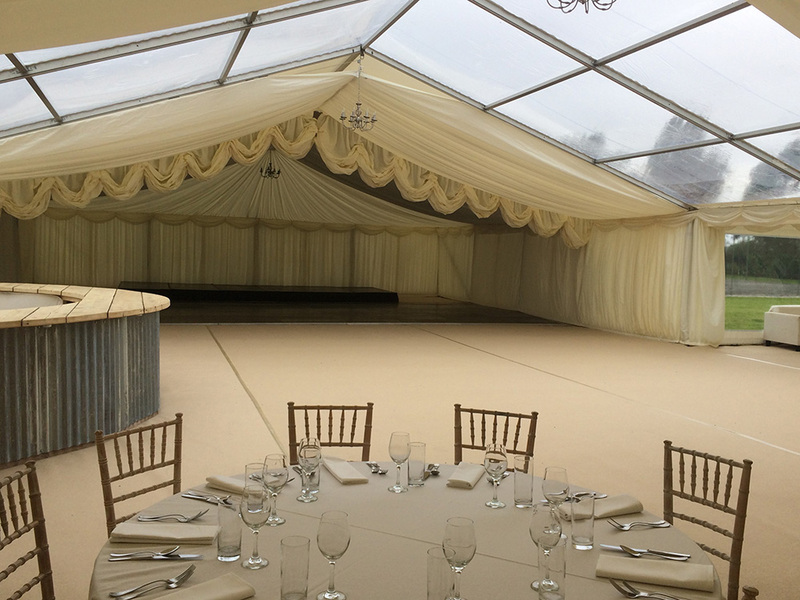 It gives the look of a traditional marquee with all the benefits of a frame marquee, it really is something different and unusual. 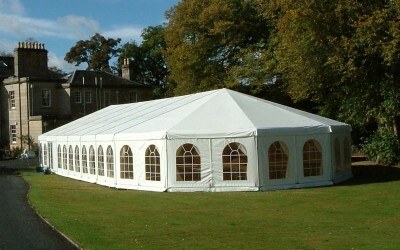 They look great, at JG Marquees we believe this is going to become very fashionable in the future. 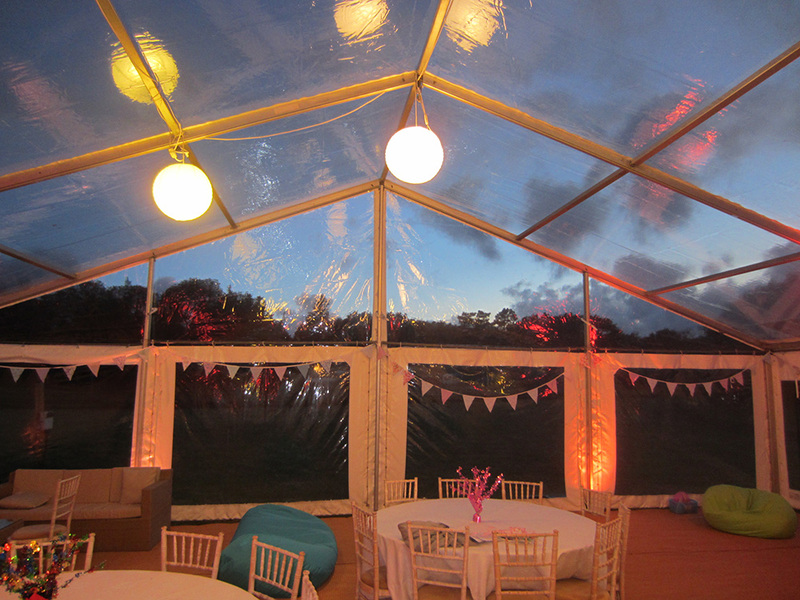 Can also be used to create an entrance marquee / reception area. 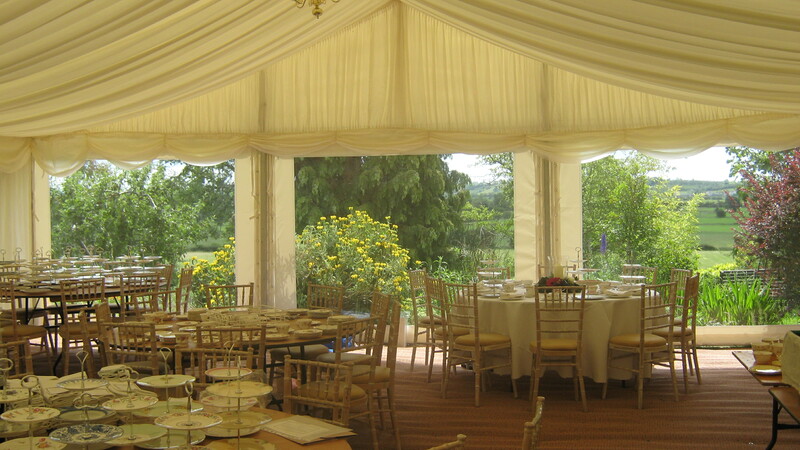 Clear gable ends to complement the panoramic windows where there is a view or to impress the guests. 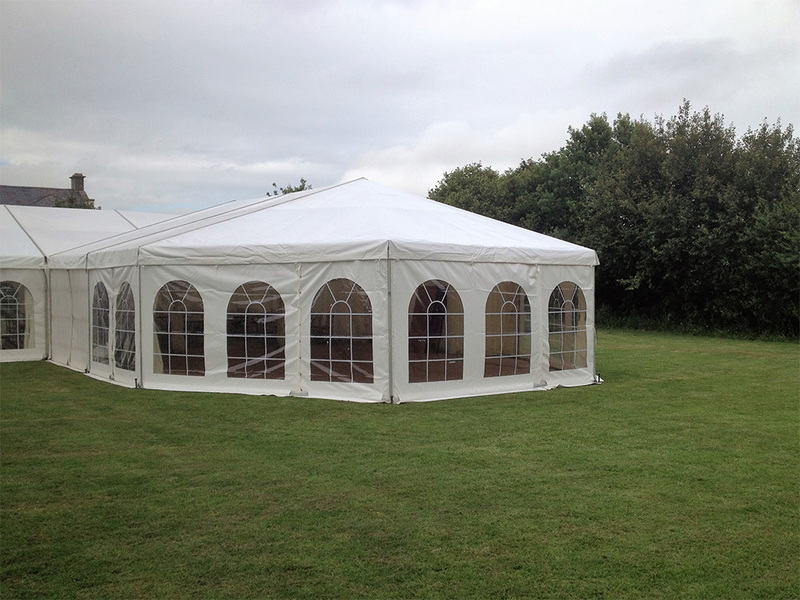 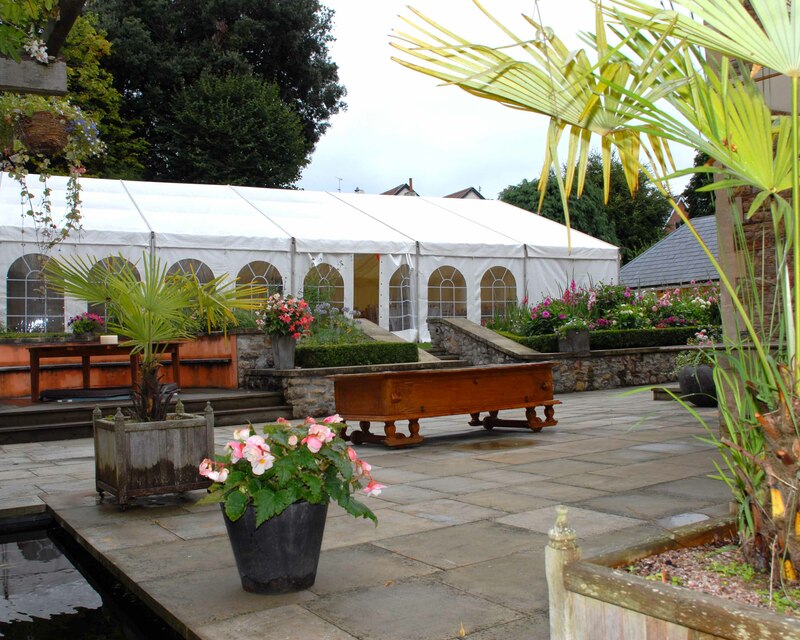 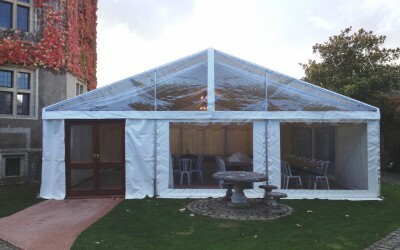 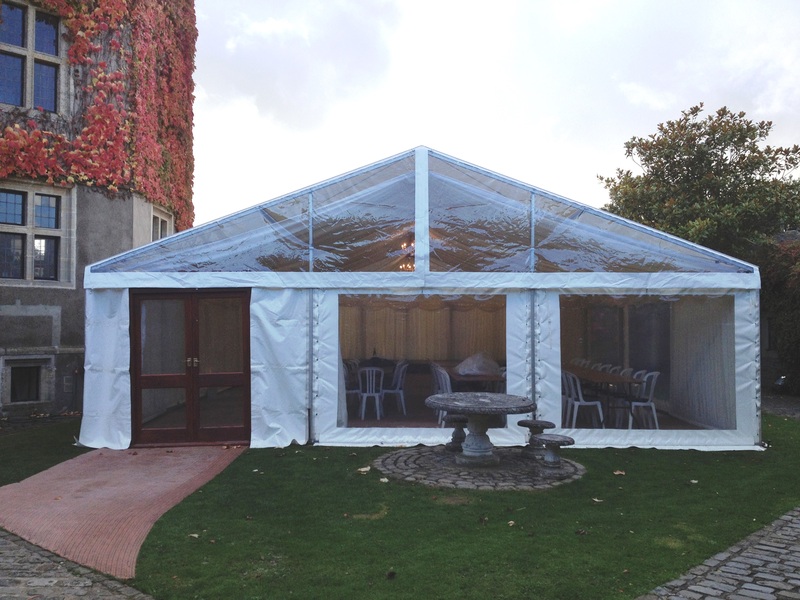 Great as an entrance, stand- alone marquee for bar area or on smaller garden parties. 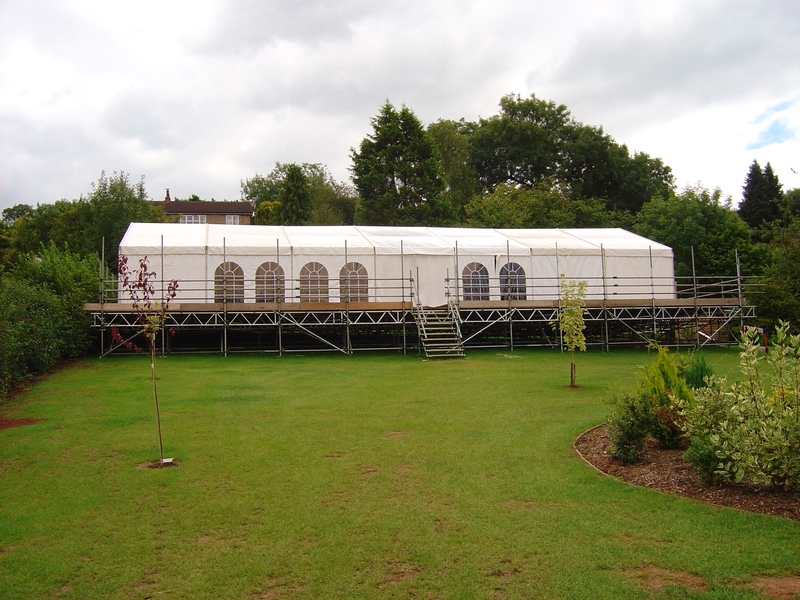 Specialist jobs built on scaffolding due to the slope of the ground. 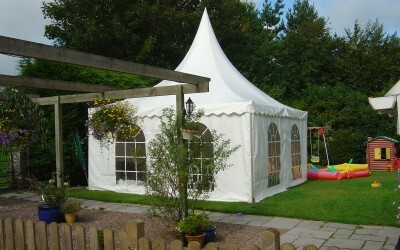 Marquee in tight location in back garden.